View More In Baby Bath. 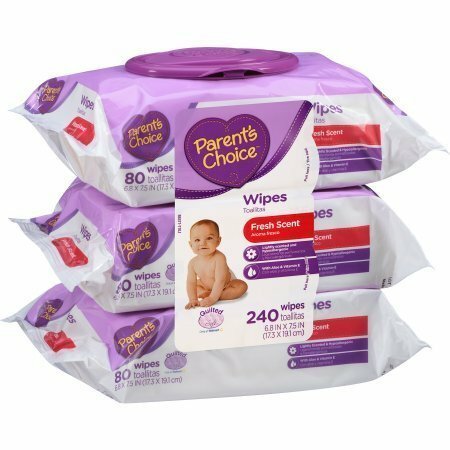 Parent's Choice Wipes are unique cloth-like wipes that are strong, yet very soft. Each wipe is moistened with a mild cleansing solution that is gentle enough for use on baby's face and hands. WIPES ARE NOT FLUSHABLE: Discard after use. Do not flush.